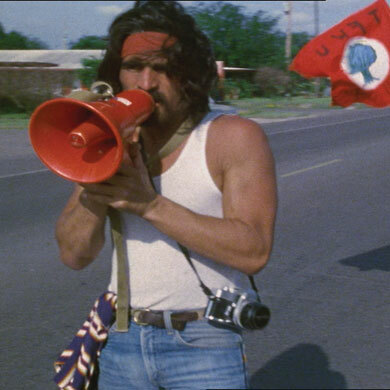 Hart Perry (Director of Photography - "Harlan County, USA"), has documented the lives of Mexican-American migrant farm workers in Raymondville, TX since 1979 when the onion workers' strike broke out. What followed was a fight not only for higher pay but also for equal rights and representation. For 24 years, the county's Mexican-American residents were determined to fight for what is right. 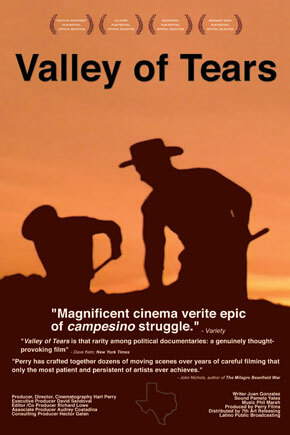 "Valley of Tears" is a complex story of the long journey of individuals who endure hardship in order to make a better future for their families. During the last 30 years working as a filmmaker, Hart Perry has carved out three distinct reputations: social and music documentarian, cameraman, and artist. In 1969, he was the youngest cameraman at the legendary Woodstock music festival and in 1970 he directed his first music video, for Alice Cooper. In 1977, he shot the Academy Award-winning "Harlan County: USA" with Barbara Kopple, and in the 80s shot Kopple's "American Dream," which also won an Academy Award. In 1992, he teamed up with Jonathan Demme to make "Haiti: Killing the Dream," a film about the rise and deposing of peoples' hero, Jean-Claude Aristide.